The Department of “Computer Science and Engineering” at Silicon Institute of Technology was established in the year 2001 with the approval of AICTE. The department was accredited by NBA in the year 2009. The department of is concerned with the theory, design, development and application of computer systems and information processing techniques. Within a short span of time the department has proved itself to be not only one of the best departments of the college but also among other private engineering colleges in Orissa. Placements: Industry Interface is an integral function of a professional institute like silicon. The IICell of Silicon consists of a few faculty members headed by an IICell-Incharge. The Industry Interface Cell (IIC) has prepared a company database that contains details about reputed industrial houses, R&D organizations, technical institutes of the country and abroad. This is also regularly being updated with inputs from various sources. It primarily looks into the Placement activities, Summer Training Programs, Professional Development Programs etc. Campus: The Department of “Computer Science and Engineering” at Silicon Institute of Technology was established in the year 2001 with the approval of AICTE. The department was accredited by NBA in the year 2009. The department is located in the tall and upright new building with a dedicated team of 23 faculties, out of which 3 are PhD, 18 are ME/M.Tech and only 4 are BE/B.Tech. Currently 4 faculties are continuing with their PhD or have submitted the thesis. The research and teaching missions of the Department encompass a wide range of areas, including networking and distributed multimedia, internet technologies, cryptography and security, databases, data mining, software engineering, computer architecture, compilers, operating systems, programming languages, artificial intelligence, computer graphics and visualization, algorithms, artificial intelligence, parallel & distributed computing, and soft computing. The department possesses 4 well-equipped labs that provide excellent facilities for teaching, learning and research activities. The department organizes seminars, symposiums and conferences on a regular basis to cope up with the changing trends in computer science and information technology. The department of CSE has developed infrastructure of more than Rs 2000.00 lakhs on laboratory equipments and operation maintenance. The department is equipped with two leased line and one broadband Internet connectivity of 4, 8 Mbps to facilitate the students and faculty members to cope with the highly demanding Internet era. Also department manages an internet lab, one server room dedicated for the department as well as institute service. Central library: Silicon library is housed in a large hall of 17000 sqft. It is the centre of intellectual activities. It receives special attention and importance in the scheme of development of the institute. It has well over 30000 books and subscribes to many important journals, national and international. The library remains open throughout the week. Students can issue books from the library under three schemes. They are (a) Regular issue, (b) Book Bank issue and (c) Overnight issue. In addition to that Silicon has formed a privileged group known as Scholar Club and Campus Connect. The members of Scholar Club can issue additional books from the library depending on the availability. There is a reference section for faculties and students for internal reading only. The total collection in reference section is over 3000. The library provides non-book materials like CDs, DVDs and e-journals. The library subscribes to more than 30 kinds of journals and 30 kinds of magazines.. It has a sitting cubicle capacity of 500 at the same time. Hostel: Silicon Residence – a home away from home. 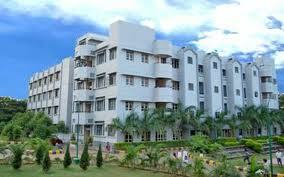 The Institute has residence facility separately for boys & girls inside the campus. Silicon Residence has an ideal environment for study since they are located inside the campus away from the din of the city. It is capacious and can accommodate every student. The Campus Development Committee (CDC) organizes variety of entertainment shows for the residents at regular intervals. City rides are provided to all residents once a week. Silicon believes in the all-round development of its students. It has a Movie Club, Yoga Halls, Robotics club for the overall development of students. The Sports and Culture Committee monitors all the activities where students organize, participate and attend several cultural activities inside as well as outside the campus. Silicon is soon going to start its Cricket Club, Volleyball Club, Basket ball Club, Music Club, Fine Arts and Literary Club. The campus has infrastructure for several sports and games in the campus. dear sir I want to take admission in b.tech course in computer science or electronic in your institution. My jee marks is,36 or10+2is71%please permission me for admission thank you.